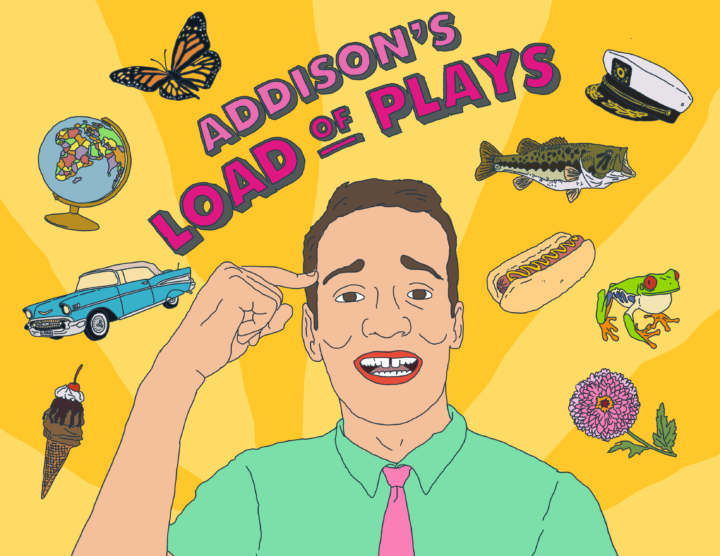 Addison’s Load of Plays! is exactly what it sounds like – a big load of plays! Each month’s play is brand new and written by celebrated playwright Addison Billingsley that month. Plus all of the plays are really good and funny!